Authorities on Tuesday raided several locations connected to a Santa Maria-based marijuana delivery service that was operating illegally and arrested one man involved in the operation, according to the Santa Barbara County Sheriff’s Office. Prompted by tips from the community and other law enforcement agencies, Santa Barbara County’s Cannabis Compliance Team conducted a three-week investigation into 805 Cali Xtracts. 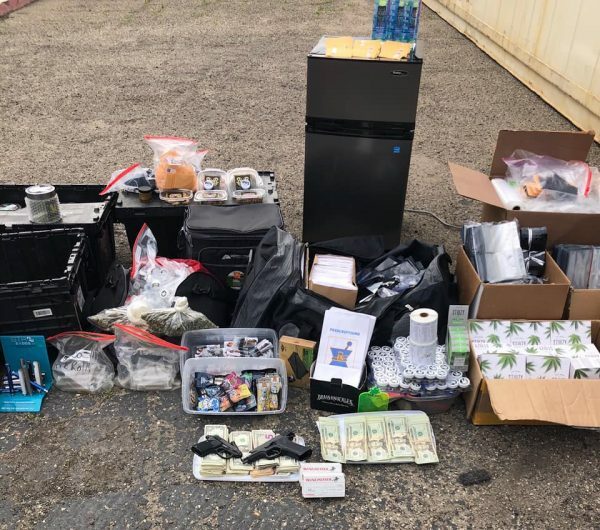 Detectives suspected the business was involved in illegal marijuana sales and distribution within Santa Barbara County, as well as money laundering. On Tuesday, sheriff’s detectives with the Cannabis Compliance Team served a series of search warrants in the Santa Maria residential areas of Del Sur and Riddering, as well as at the 805 Cali Styles storefront at the Santa Maria Town Center Mall. It is unclear if and how 805 Cali Xtracts and 805 Cali Styles are related. On different social media pages, 805 Cali Xtracts advertises a marijuana menu and app, while 805 Cali Styles is described as a street wear clothing shop. 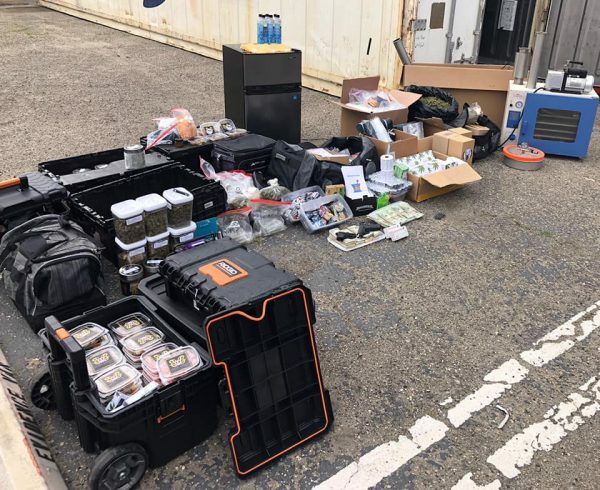 The searches of the Santa Maria locations netted several items related to marijuana sales, including cannabis products, packaging, a variety of consumables, and a butane honey oil lab. Additionally, deputies seized firearms, ammunition and pertinent records. 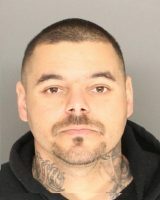 Tuesday’s operation culminated with the arrest of Javier Covarrubias, 32, on charges of illegal possession and distribution of marijuana and honey oil and for being a felon in possession of a firearm and ammunition. An investigation into the case is ongoing. Since the legalization of recreational marijuana, Santa Barbara County authorities have cracked down on illegal pot grows. Last month, deputies seized more than 14,000 pounds of cannabis products after discovering the owner of a grow outside Buellton on Highway 246 allegedly falsified documents to obtain a temporary state cannabis license and then sold pot illegally. The Cannabis Compliance Team, which was founded in June 2018, focuses primarily on unlicensed and illegal marijuana operations within Santa Barbara County. In addition to complying with state licensing requirements, marijuana businesses operating in unincorporated areas of the county must obtain local land use permits and business licenses.